Value Education and Catechism is an integral part of the Curriculum. The aim is to make God known and loved; thus, the spiritual development of all their pupils is of prime concern. Clubs are formed for various Activities. 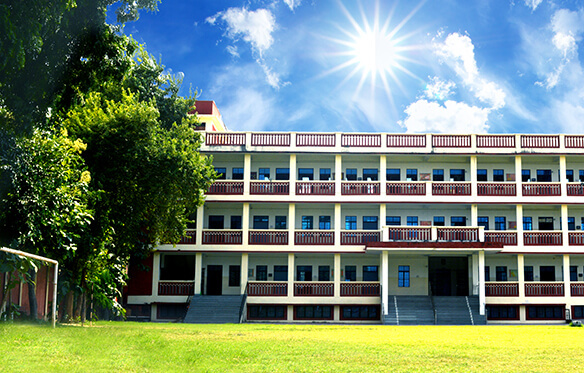 Students are encouraged to participate in elocution, debates, quizzes, art/craft competitions, essay-writing etc. School has its own Literary Club which organises several programmes and competition to enhance the literary skills of the students. Physical training: Students get training in Yoga and Common P.T. sessions are conducted for all the students. They are coached and trained in Badminton, Basketball, Volley ball, Football and Cricket. Guidance is provided for preparing for various events, tournaments and competitions. Other fields in which students portray their skills are Social Service, Creative Work, Computers, Environmental Preservation, Dance and Music. Students actively participate in the activities organised by the English Literary Club, Community Service Club and the Environment and Disaster Management Club.